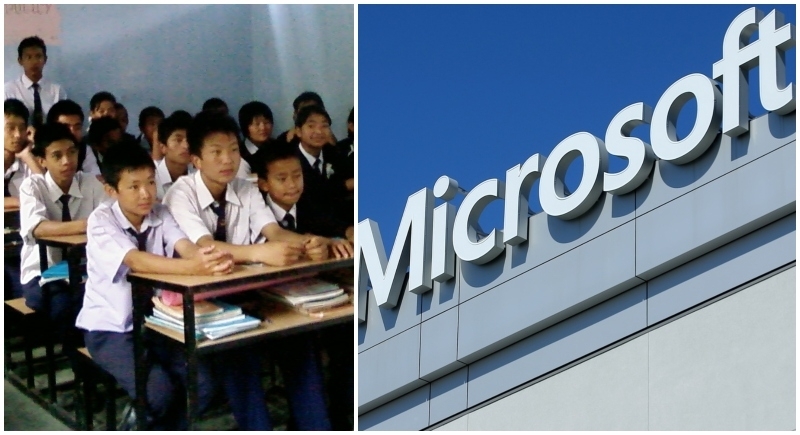 Gangtok, February 5: Boosting technological development by transforming the educational landscape in the state, the Sikkim government has signed a Memorandum of Understanding (MoU) with tech giant Microsoft. The deal has been etched to harness the power of technology in bringing transformation in e-governance and core sectors to prepare the future generation. Sikkim Minister for Human Resource Development R B Subba said the state government was committed to harnessing the power of technology to transform e-governance and core sectors and partnering with Microsoft was a much-needed step to help prepare the future generation. He said the government's vision was to make the youth future-ready and Microsoft was an able partner for transformational initiatives. Additional Chief Secretary, HRD Department, GP Upadhyaya said the role of Microsoft India in the laptop distribution scheme to students in Sikkim was managed at a reasonable budget which led to the furthering of ties with the tech giant. As part of the collaboration, Microsoft would support the state in integrating IT content in the state board curriculum and build student capacity besides building teacher capacity through the Microsoft Educator Network and Innovative Educator Program. Two schools in the state will be identified and adopted for implementing the plan. The teachers and students will be trained on Microsoft’s curriculum on creative coding and gaming through apps, robotics, entrepreneurship and tools for collaboration, creativity and communication. The training will be imparted through workshops at these schools as well as online webinars to equip them with technology skills to counter real-life challenges.